Acupuncture started in China more than 3,000 years ago. The Chinese believed diseases such as arthritis were caused by an imbalance in life forces: yin and yang. The imbalance leads to a blockage of qi (pronounced chee), a vital energy source in the body. 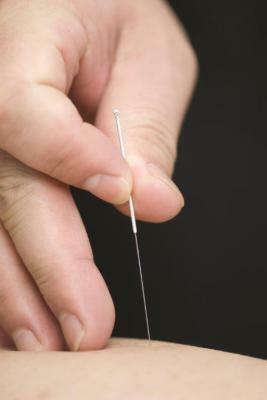 Acupuncture was thought to unblock that energy, which helped ease the pain. For years, words like yin and yang relegated acupuncture to the fringe of medical science in the USA. The technique gained credibility during the 1980s and '90s as scientific studies began to suggest that acupuncture could trigger the release of natural painkillers. An analysis of 22 studies showed that acupuncture relieved lower back pain when compared with no treatment or with "fake" acupuncture in which needles were inserted in the wrong places. Several large studies reported in the past year and a half could push the technique into the mainstream. strengthening and maintaining a strong immune system. 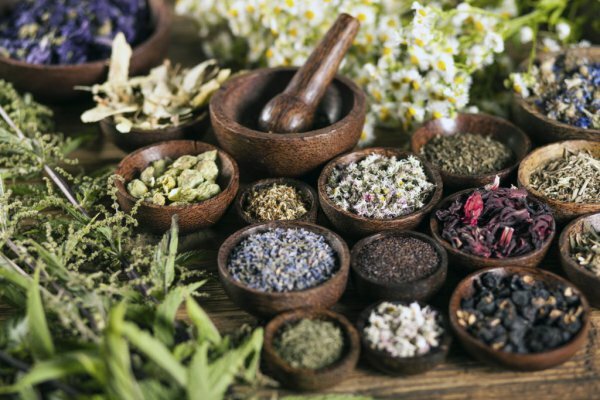 For the convenience of modern patients, precise mixtures of pulverized Chinese herbs are now available in capsule form, prepared under strict conditions by herbal pharmaceutical companies in the U.S.
Cupping employs the application of glass or bamboo cups and to acupuncture points or an affected part of the body. 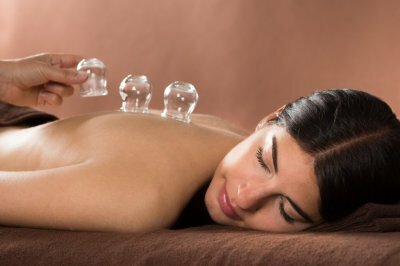 The cupping is attached to the skin surface to cause local congestion through the negative pressure created by introducing heat in the form if an ignited material. The vacuum suction created by the cooling of hot air inside the cup helps stimulate blood circulation and improve the flow of energy. The technique is useful for muscle injury, joint pain, headaches, infection, bronchial congestion, and other afflictions. Ph.D., (Dr. of Medical Science), Immunology, Juntendo Univ. Postgraduate School of Medicine, Tokyo, Japan, 1992. M.D., Department of Medicine, Beijing University of Chinese Medicine, Beijing, China, 1983. 32 years experience in Western medicine and Chinese medicine. 14 years experience in biomedical research.